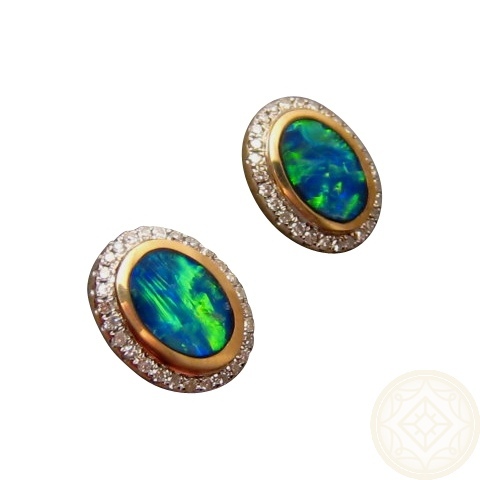 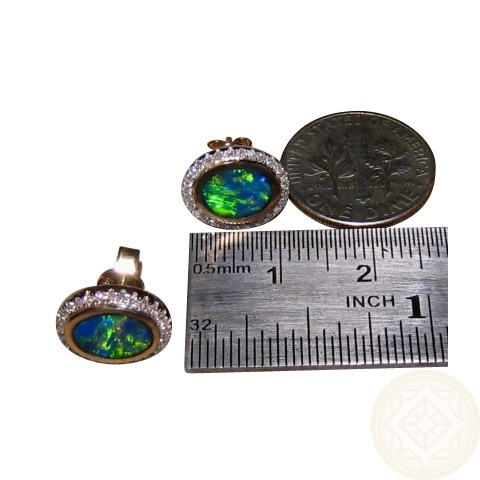 Oval Gold Stud Earrings with Extremely Bright Opal surrounded by Diamonds. 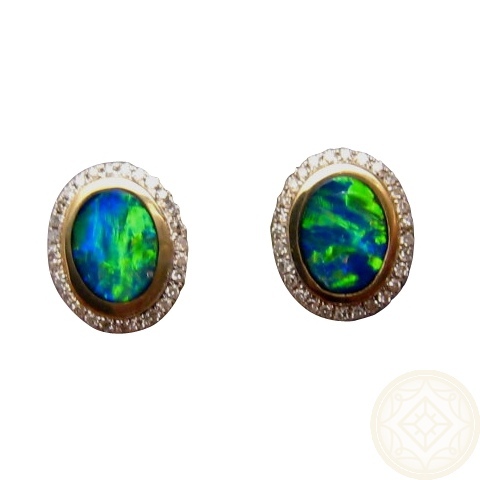 Opal Diamond Stud Earrings with Brilliant Blue and Green Australian Gems. 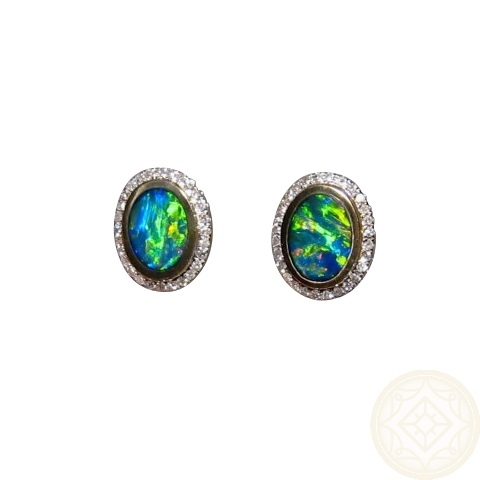 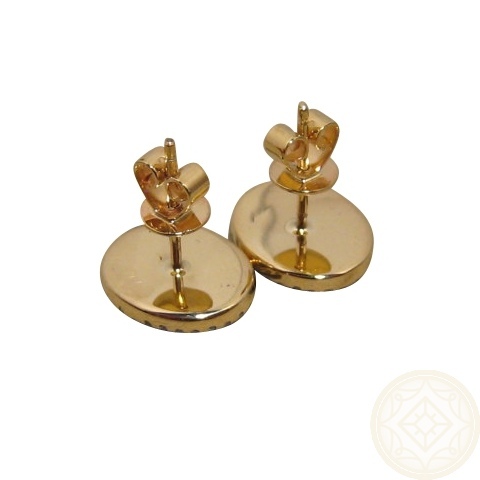 14k Gold Stud Earrings with Extremely Bright Oval Opals and surrounded by small Diamonds. 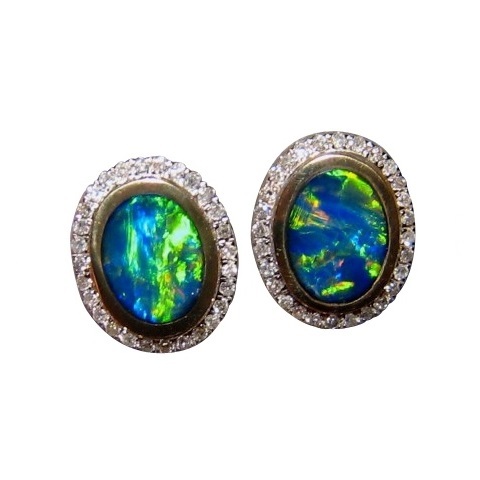 These earrings are not in stock but Made to Order and will take about 14-21 days to make.